Burgundian winemaker Jean-Nicolas Méo and visionary music entrepreneur Jay Boberg met over thirty years ago while attending the same university in the United States, and they remained friends through the ensuing years. Jean-Nicolas took over as winemaker for his family’s Domaine Méo-Camuzet in Burgundy, where he was mentored by legendary winemaker Henri Jayer, a leaseholder at the Méo-Camuzet estate. Jean-Nicolas’ style of finesse and balance and fruit and elegance rather than stalkiness and tannin, catapulted Méo-Camuzet to fame. Meanwhile, Jay carved out his own success as co-founder of the indie record label IRS Records, and later as president of MCA/Universal Records. As he began winding down his full-time role in the music industry, he approached Jean-Nicolas about starting a winery together in the Willamette Valley. In 2012, the two friends partnered to form Domaine Nicolas-Jay. Why would Jean-Nicolas be intrigued by this offer? The French are interested in opportunities in Oregon because they can take their knowledge from vinifying Pinot Noir in Burgundy and apply it to a newer region. They enjoy more freedom to experiment such as blending grapes from different vineyards. There is also the attraction of building something meaningful from scratch since there are very few opportunities in Burgundy to launch and grow new projects. The cost of vineyards is still affordable in Oregon compared to prime Burgundy plots. Finally, Oregon has a consistently sunny summer, offers less concern about botrytis, rain and essentially no threat of hail, three common challenges in Burgundy. 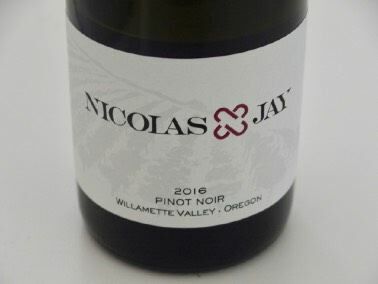 Domaine Nicolas-Jay is focused on Pinot Noir using grapes from the estate Bishop Creek Vineyard located in the Yamhill-Carlton AVA, as well as grapes from top Willamette Valley vineyards including Nysa, Momtazi and Zenith. Jean-Nicolas now spends nearly two months each season in Oregon, traveling to the region throughout the spring, summer and harvest to oversee the viticulture and winemaking. 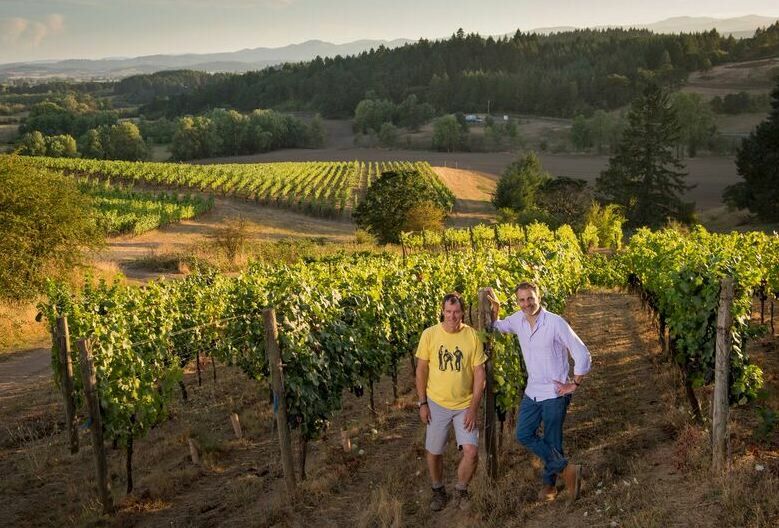 Jay spends up to six months a year in Oregon working in the vineyards and winery alongside Jean-Nicolas and the winery’s associate winemaker, Tracy Kendall, a former enologist with Adelsheim where the Nicolas-Jay wines are vinified. The 13.5-acre Bishop Creek Vineyard, located just north of the town of Yamhill, sits on a 66-acre plot of land and is planted predominantly to mostly own-rooted Pinot Noir clones Wädenswil and Pommard, the majority of which was planted in 1988 and 1990. There are additional young vines, Pinot Noir clones 777 and 667, dating to 2002. Elevation ranges from 399 to 616 feet. Soils are ancient marine sediments (Willakenzie). Since the vineyard was acquired in 2014, it has been farmed organically and is certified LIVE, Salmon-Safe and Certified Sustainable. A personal, guided tasting is available by appointment at the winery’s tasting house in Dundee ($30 per person, waived with a 6-bottle purchase of wine). The wines are sold on the website but Confrérie Wine Club members receive many worthwhile benefits. For example, the first 100 Confrérie Wine Club members will have unprecedented access to highly-allocated Domaine Méo-Camuzet wines.